Stop Smoking - when you’re ready! World No Tobacco day has just passed, with the World Health Organization exhorting everyone to stop smoking. If only it were that easy. Cigarette smoking is so much part of our societies, it is difficult to imagine life without tobacco. However, when you think about it, rolling up dried plant leaves and sticking them in your mouth and setting fire to the end of it sounds like a pretty silly proposal, particularly when you know it is dangerous (and let me assure you, it is). Remember that the ‘Marlboro man’ died of lung cancer! To give up cigarettes there are many, many ways, ranging from acupuncture, hypnosis, the I Ching, acupressure, Nicotine Replacement Therapies (NRT), chewing gum, patches, nasal spray and many others all the way through to Cold Turkey. Hop onto the internet and you are besieged with offers, all of which will make it ‘easy’ for you to stop smoking, and all of which will cost you money! Interestingly, all of the above methods need the smoker to become committed to ceasing cigarettes. The success rate really hangs on that commitment. Leaving aside hypnosis and acupuncture, about which I know very little, but the good books tell me do not enjoy high success rates, let’s look at the other methods. The majority rely on Nicotine Replacement Therapy (NRT). All the gums do is to make nicotine available for you in measured doses - much like cigarettes do. You get the craving, you chew the gum. Patches are slightly different. They deliver the nicotine slowly over a 12 or 24 hour period and are supposed to stop the craving before it happens. But often do not. After stabilizing on the NRT it is time to bring the dosage down, which is the next hurdle at which many fall. The end result can be cigarette smoking plus NRT - a potentially fatal combination. I strongly believe that NRT should only be done under close medical supervision. Too much nicotine can kill too! So what is the best way? It’s called Cold Turkey. The proof is in the numbers. There has been enough research done and the prime factor is that the quitter has to be committed to the concept of becoming a non-smoker. Doing it (quitting) for somebody else, because you lost a bet, because you are being nagged into it by your wife, girlfriend, boyfriend is doomed to failure, I am afraid. This is something which requires your total commitment. 100 percent all the way. It also isn’t easy as your body cries out for nicotine and your brain tells you to “Go on, one won’t hurt you!” The acute withdrawals will last two weeks, and those are the make or break two weeks if you are to become a non-smoker. It is worth it. Smokers have a much higher incidence of all cancers - not just lung cancer. I admit that those who go Cold Turkey may go through a rough time with withdrawals initially, but 90 percent are still non-smokers after one year. The same cannot be said for the others. The “hard” way is ultimately the best way. You have to make the decision to quit. You set the day. You tell all your friends that you are now a non-smoker - and you stick to it! After two years your lungs are pink and clean again. It is worth it. 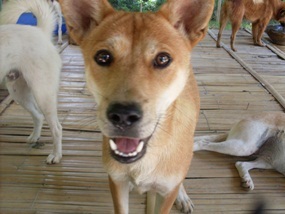 Hi – My name is Tic and I have 2 siblings – Tac and Toe. Toe has already found a home but I and my sister Tac are still available for adoption. We are around 18 months old and have lived at the shelter since we were puppies. Because of this we are very healthy with all the necessary shots etc. but would love a chance to experience life outside of Care For Dogs. We can be adopted together or separately and you can rename us as you like. Please give us the chance to show you our love and how much we would appreciate a forever home. 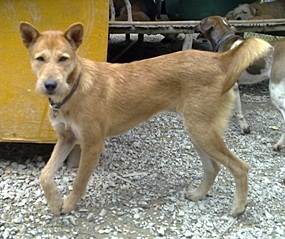 If you think either Tic or Tac could be the perfect companion for you or your family contact Care For Dogs: English (08 47 52 52 55) or Thai language (08 69 13 87 01) to make an appointment to meet them. I read in a Thai website that all that Thai women are interested in is money, money, money. Is this really the case? I am in a long time relationship with a Thai woman, but she is a lot younger than me. Is she interested in me, or money? If it’s money she hides it pretty well. Who should I believe? No, my Petal, Thai women are not just interested in money. For example, I am also interested in Belgian chocolates and French champagne. Women, and not just Thai women, are interested in finding a mate who can support them and their children (and the family in Thailand), and that includes financial as well as physical support. Why should any woman be interested in marrying a pauper? Would you? There are not too many couples you could call Romeo and Juliette in the world, but there are thousands of successful marriages, which exist for the mutual benefit of both parties. I am not saying that ‘romance’ is dead, but likewise a union based on an unreal expectation is also headed for the scrap heap. If you and your lady are happy as you are, with the money you have or haven’t got, then just enjoy life and don’t spend time worrying about what other people write into websites. You certainly have got tickets on yourself, haven’t you Petal. But I suppose you’ve got good reason to be as you are. I mean, just how lucky are you? You get to wake up with the most adorable man in the world, in your opinion - yourself. Time to change your name to Narcissus, though I would suggest you take all the mirrors down in your bathroom, or you might find yourself falling in love just like the long departed Narcissus. Poor Narcissus saw his reflection and fell in love with it, and could not be away from it, and pined to death looking into the pool. Meanwhile the nymph Echo who fell in love with Narcissus also pined away, just like your ‘lucky’ ladies who try and leave their clothes in your wardrobe. However, I am certainly glad I haven’t been picked as this week’s ‘lucky winner’! After saving hard for the last three years, I have been on an extended holiday here in Thailand for the past six weeks. I have enjoyed your beautiful country very much, but I will be going back to my own country in two weeks time. What made it even better was I had a beautiful guide and non-complaining companion up-country girl who I found in a bar here who has been with me for all that time. I know all the stuff about bar girls, but she has been constantly with me for the six weeks, and she has been great. I have looked after her well in return including a weekly allowance of 15,000 baht for her to spend on anything she wants. I don’t ask. It’s hers for services rendered, if you know what I mean. I would like to give her something when I leave for her to remember me by, and can you suggest something that she will like. Please keep the suggestions within a reasonable budget. I am not a Cheap Charlie but it is the end of my holidays. Sometimes the commonest or simplest items can produce eye-catching photographs. No difficult shots, no special effects, no exotic lenses, just great shots by the simple technique of keeping one’s eyes open. The secret to all this is to remember repetitive shapes, contrasting shapes, contrasting colors and shadows. In other words, these types of images rely totally on vision and composition. Remembering that the ‘rules’ of composition are merely there to be broken, and very often a dramatic shot comes from trying something different. The secret of great photography is not just in correct exposure and placement in the frame. You will get plenty of dull photographs that are perfectly exposed and with the subject at the intersection of thirds. You need to remember contrast! Contrast in photographic composition is an effective means of directing the viewer’s attention to the center of interest. When I speak of contrast, I am referring to both tonal contrast, as in black-and-white photography, and color contrast as it relates to color photography. In B&W photography, contrast is the difference in subject tones from white-to-gray-to-black or from the lightest tone to the darkest tone. In color photography different colors create the contrast. Tonal contrast is generally expressed as high contrast which has extreme black and whites, or low contrast which has nothing but graduated greys. The photograph used this week is an example of very high contrast, so much so that detail is blown out, but this is not designed to be a portrait, this was designed to be a photograph that hits you between the eyes. Now you can wander around all day looking for a girl in a white swimsuit on a white sandy beach, or you can manipulate a photograph to produce that image. If you have an advanced digital camera, you can program it to record black and white only and then go from there, but if not, no fear, your software will allow you to do this post camera. First convert the color shot to grey scale, then play with the brightness and contrast, and you will very quickly produce a shot like the one used here. Now high contrast should not be confused with high key. A high key black and white shot is one where the photo shows mostly light tones. Conversely, a low key shot is one that has mainly dark tones. Low key and high key pictures convey mood and atmosphere. Low key suggests seriousness and mystery and is wonderful for Halloween photographs. However, high key creates a feeling of delicacy and lightness. A portrait of a blonde in white against a white background is an example of high key. High contrast gives very black blacks and very white whites, and usually with nothing in between. Low contrast, on the other hand, still has blacks and whites, but everything is predominantly grey, giving a flat scene which still has tones, but in which highlights and shadows have very little difference in densities. In other words, all tones within the scene are very similar in appearance. However, remember that if you are shooting in automatic mode, the camera will be set to deliver 18 percent grey, and not black. Now to contrast in color. This is where an artist’s color wheel comes in handy. By picking colors from opposite sides on the wheel, you immediately have stunning contrasts. Blue and yellow is a classic example. Another is bright red against a luminescent green background. 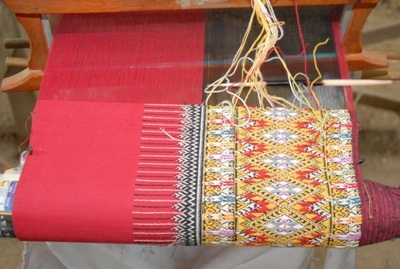 Cold colors (bluish) and warm colors (reddish) almost always contrast. Cold colors recede, while warm colors advance. Light colors contrast against dark ones, and a bold color offsets a weak color. Color contrast is an effective compositional element in color photography, just as tone is in black-and-white photography. Colors with opposite characteristics contrast strongly when placed together. Each color accentuates the qualities of the other and makes the color images stand out dramatically. Color contrast is enhanced when you create the contrast of detail against mass. An example is a single, bright, red flower in a clear, glass vase photographed against a bright, green background. In meetings with colleagues, clients or suppliers you’ve probably never stopped to wonder - are they hedgehogs or foxes. That’s unless you’ve ever read Isaiah Berlin’s tongue-in-cheek literary essay, “The Hedgehog and the Fox”. But this could make a big difference to the eventual outcome of discussions if you understand which kind of animal you’re dealing with. This doesn’t pre-suppose that wide-ranging knowledge is better than concentrated knowledge. After all, it may be that the fox, for all his agility, is defeated by the hedgehog’s simple solitary defence of rolling into a spiky ball. Hedgehogs see the world through a single defining idea. They include Plato, Dante, Hegel, Nietzsche and Proust. Foxes’ views are shaped by a wide variety of experiences. Foxes include Aristotle, Shakespeare, Goethe, Balzac and Joyce. Tolstoy, however, was different. Superficially he didn’t fit either group. Berlin believes Tolstoy had the skills of a fox but was constrained by his belief in the need to behave like a hedgehog. George Washington was an archetypal hedgehog - the one big thing he knew was that America’s future lay to the West, in its development of a continental empire. It may be that the key quality of successful political leaders is singularity of purpose. Over the past 10 years or so economists have developed the single-mindedness theory or SMT. This states that those most able to focus on the smallest number of issues gain greatest political power. Hitler, Reagan, Thatcher, Stalin and De Gaulle (in fact just about any politician that has an -ism named after them) all stand out as hedgehogs. The ultimate 20th century hedgehog was probably Albert Einstein whose pioneering work on relativity was the result of an obsessive focus, but be careful not to confuse hedgehogs with one-trick ponies. The early success of ‘Chainsaw Al Dunlap’ at Scott Paper, who streamlined operations through widespread cuts and layoffs to improve shareholder value and ultimately sold the firm to Kimberley-Clark, may have given the impression of a hedgehog. However, his total inability to understand and adapt the use of this blunt instrument failed dismally when he took over at Sunbeam. Dunlap was both ignominiously fired and sued by shareholders with whom he eventually had to settle for $15 million. Dunlap is now banned from serving as an officer of a public company again and last year was voted the CNBC 6th worst CEO of all time. Foxiness or hedginess has nothing to do with the relative quality of ideas; it concerns how they are applied, their timeframe, breadth of data and specific role. Jim Collins, in his book Good to Great classes Walton and Ford as hedgehogs because, like Morgan also, each had a very clear strategic view of what their customer wanted and painstakingly tried to meet those needs. But that ignores the plethora of small, successful innovations, changes and developments that these three leaders were constantly absorbed by. Maybe the reason that they are regarded the best of all time - by CNBC at any rate - is because they are essentially the business equivalents of Tolstoy, not obviously in one camp or the other. Perhaps the key to their success lies in their combination of skills and perspectives. While Lay, Mozilo and Fuld staggered around blindly, Walton, Morgan and Ford implemented domestic supply-chain management, business reorganization and automated manufacturing, at the same time as mastering rapidly changing technologies, demands and situations. Few are able to emulate Tolstoy by adding hedgepiggyness to their innate foxiness or vice versa and such scarcity makes for an exceptionally valuable commodity. In our industry, the best long-term strategic investment managers are the giant hedgehogs such as Mark Mobius - whose great awareness was the inevitable outperformance of emerging markets - and the best short-term equity managers are active bottom-up foxes like Peter Lynch - who by his own admission had no big picture economic understanding but found attractive equity opportunities like a talented pig hunting truffles. However, an investment portfolio is analogous to a business - it needs a leader who understands both the big picture and all the smaller, more complex ones. The specialized skill set of asset allocation is the province of that endangered species, the foxy hedgehog. If you see one, do your utmost to preserve it. ‘They think this simplicity is a sign of meagre invention’: Racine. This is not only the best film I have written about in these columns but also the most ‘modern’ and original. That said it is also probably the most accessible of all this great director’s films, along with the much earlier A Man Escaped. I wrote briefly about his works of ‘cinematography’ (his term) last week and if anyone is interested in following that list of his 13 features, this film – inspired by the eponymous novel by Georges Bernanos- is a good starting place. Bernanos incidentally was the author of a book also made by Bresson, The Diary of a Country Priest. The central character in Mouchette is a 14 year old peasant girl and she also appears in another novel, filmed by Maurice Pialat called Under Satan’s Sun, where she is played by Sandrine Bonnaire. Here a young girl named Nadine Nortier takes the role most affectingly. Bresson stopped using professional actors altogether with his fourth film and uses people he finds suited to the roles he creates. He refers to them as ‘models’ and does not expect them to act but to ‘be’. As he himself wrote, ‘Model has become automatic, protected against any thought’. Nortier has an extraordinary presence as the young victim of poverty and circumstance, growing up and surrounded by a drunken father, unfriendly schoolmates who ridicule her poor clothes and clogs and, above all, trying to be a nurse to the baby in the family and her dying mother. Like many Bresson characters, she begins to withdraw from life. And we follow this ‘withdrawal’ and a need for peace during a period of barely 24 hours. We see that she is a victim of a harsh, materialist society and one which centres on petty rivalries and relationships within a terribly restricted society. The story is told without a hint of sentimentality but infinite compassion and the ending is one of the most devastating and profoundly moving in the history of cinema. Such astonishing endings are a characteristic of Bresson’s films and certainly they are incomplete until the very last image. Unlike most movies where the last moments or minutes are ‘round up time’, in his films they are the true resolution. 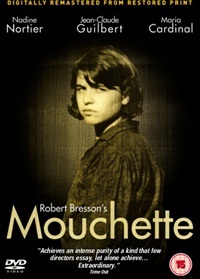 Mouchette is only about 85 minutes long. Most of his films are short, some like The Trial of Joan of Arc barely seventy minutes and most less than 90. They are all works of enormous compression. No shot is wasted, or superfluous. There is a rigour and seeming simplicity to the surface. In Mouchette there is no background music, except for a few seconds in a pre-credit sequence and again at the very end (Monteverdi). This is common to all of his later films which dispense with all ‘background’ music. Dialogue is sparse – Bresson does not waste words and for much of the time the editing is unostentatious. Oddly though, for this director there are a couple of sequences where the cutting is much faster than his norm. Something which also occurs in the jousting scene in Lancelot du Lac and in the final murder scene in L’Argent, his final masterpiece. Bresson was one of the great masters of ‘editing’ in cinema history, stating that only after shooting a film did it come into being. For him cinema was a process of elimination and compression – of necessary images not ‘beautiful’ ones, of cutting anything that would detract attention from what matters in the film. Like the work of other great directors, his films only make complete sense when seen complete. He introduces characters in Mouchette without extraneous detail, as in all his films. His films are the complete opposite of theatre, people do not make entrances, they do not emote, they simply ‘are’. He understood above all that film – like all the great arts, especially music, has to have a sense of rhythm, of cadence. He wrote once, ‘The omnipotence of rhythms. Nothing is durable but what is caught up in rhythms. Bend content to form and sense to rhythms’. His words might be seen as an echo of those by the poet Ezra Pound, ‘Rhythm is a form cut into time’. The Ghost Writer: What did I say about going out on a limb listing this as “scheduled” for today? I should know better, given how much I’ve been burned lately, but I thought this one was fairly well assured. Maybe it was just wishful thinking, as I want to see it so badly. From all I read it has Polanski returning to the top of his form, like on the level of Rosemary’s Baby, and Chinatown. And this despite the fact that he did the editing from a Swiss jail. I complained to Major Cineplex about this no-show; maybe you should do the same. Killers: US, Action/ Comedy/ Romance/ Thriller – Starring Ashton Kutcher, Katherine Heigl, Tom Selleck. A vacationing woman meets her ideal man, leading to a swift marriage. Back at home, however, their idyllic life is upset when they discover their neighbors could be assassins who have been contracted to kill them. No press screenings, too new for reviews yet, at this point no one knows much about it. Airport Plaza only. Shrek Forever After - 3D: US, Animation/ Comedy/ Family – The further adventures of the giant green ogre living in the land of Far, Far Away, this time in 3D (at Airport Plaza). Still a fun movie for the family – at least I was solidly amused throughout. The story: Now domesticated and bored, Shrek makes a pact with deal-maker Rumpelstiltskin to get the real ogre feeling once again, but is duped and sent to a twisted version of Far, Far Away. With the voices of Mike Myers, Cameron Diaz, Antonio Banderas, and Eddie Murphy. 2D and Thai-dubbed only at Vista. Mixed or average reviews. Robin Hood: US, Action/ Drama – Robin Hood as gladiator, brought to life by director Ridley Scott, and starring Russell Crowe, all grunting and scowling. It does have impressive visuals and some great sweeping battle scenes, and strong performances, by Russell Crowe, Cate Blanchet, William Hurt, Max van Sydow, and Mark Strong. But it took me a long while to get interested in the main characters during the back-story, and the 1199 AD events of King Richard on his last crusade. But after the story got going, I did get involved. It’s loud, noisy, and confusing in the modern way of showing battles, where clarity is sacrificed for jittery, jumpy editing, and you are left with visual impressions, not information. Mixed or average reviews. Iron Man 2: US, Action/ Adventure/ Sci-Fi – Starring Robert Downey Jr. It isn’t quite the breath of fresh air that “Iron Man” was, but this sequel comes close, with solid performances and an action-packed plot. I was particularly impressed with the work of Mickey Rourke. If you enjoy action movies, you should like this one; it has the requisite sound, fury, and flash. Major Cineplex only. Mixed or average reviews. Poh Tak: Thai, Comedy – Directed by popular comedian-turned-director, Mum Jokmok, this is a comedy parody that explores lives in front of and behind the cameras of the Thai film industry. Features many of the regulars on Mum’s very popular TV show. Sam Yan: Thai, Comedy – Usual regurgitation of Thai slapstick comedy. A dead passenger on a bus returns to haunt the driver, and two other tales. Rated 18+ in Thailand. In Thai only. The Losers: US, Action/ Crime/ Mystery/ Thriller – An action tale of betrayal and revenge. After being betrayed and left for dead, members of an elite Special Forces black ops team root out those who targeted them for assassination. Loud, fast, and unrelentingly violent. Mixed or average reviews. At Vista only. Prince of Persia: (Here we go again, out on a limb!) US, Action/ Adventure/ Fantasy/ Romance – “Scheduled” for June 10, but this one seems a lot more sure, as they’ve actually been selling tickets to it for the past week! If this doesn’t show up, I’ll ... what? I don’t know. The film is based on a video game, which I’ve played and am now playing again, and enjoying – even though I’m not very good at it. It’s a sort of old-style Arabian Nights story, set in medieval Persia when a nefarious nobleman covets the Sands of Time, a legendary dagger that allows its possessor to turn back time. Starring Jake Gyllenhaal, Gemma Arterton, Ben Kingsley. Mixed or average reviews. This deal was played by Jim Jacoby in the world team championship (the Bermuda Bowl) in Stockholm in 1983. Jim Jacoby was a very successful player and the son of Oswald Jacoby, who gave his name to numerous bridge conventions, including the well known Jacoby transfer. See if you can do as well, even after seeing all the hands. West dealt and everyone was vulnerable. Jacoby was playing for the US against New Zealand. At Jacoby’s table, West dealt and opened 2C, natural in the methods East-West were playing and showing an opening hand with good clubs. This was passed round to Jacoby who bid 3S, raised to 4S by his partner. At the other table, the New Zealand declarer was also in 4S. At both tables, West cashed two high clubs and switched to a heart. Declarer won this in hand, pulled trumps ending on board, cashed the heart king and then ruffed a heart in hand. Now came the critical decision. The New Zealand declarer took a straightforward line, playing a diamond to the ace and then another to the queen, hoping East held the king. It was not to be—he lost two diamonds (king and jack) to go with the two clubs, for one down. So, can you see how Jacoby played it? In view of the bidding and play so far, Jacoby suspected West had the diamond king. So he crossed to board with a third round of trumps and led the eight of diamonds. East went up with the jack. Jacoby paused to consider and decided that, in order for East to go up and cover the eight, he probably had both the jack and ten. Consequently, Jacoby ducked. East held the trick, but the defence was finished. If he led a heart or a club, Jacoby would trump in hand and throw the losing diamond from dummy. If he led a low diamond, Jacoby would duck again. West would be forced to play the king to prevent dummy winning cheaply with the nine. Then Jacoby would score his queen to make the contract. 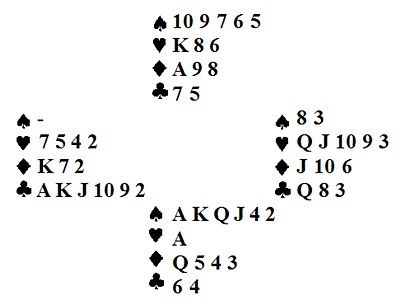 If East led the ten of diamonds, Jacoby would cover. Again, West would have to play the king and dummy would take two tricks with the ace and nine. A beautiful reading of the cards by Jacoby. Was that your plan? If so, congratulate yourself! The end of the curfew! It was with a great sigh of relief that Chiang Mai greeted the end of the curfew. And the nightlife sprang back into life, as it were. The North Gate Jazz Co-Op, famous for its Open Mike nights on Tuesday is as busy as ever (certainly not high season numbers but then nobody expects that, but still, respectable). The Box over on Nimmanhaemin Soi 5 is also featuring live music, with local favorite Richie Castro putting in a performance there last Tuesday as well. The Riva continues to showcase great music and I know many in Chiang Mai who are looking forward to Ana Gracey’s return to the newly refurbished The Gallery over on the river. Several of the Thai music clubs have booked acts as well, with the Warm Up Café scheduling the Thai indie band Scrub for later in the month. The Saengdee Gallery is putting on a charity benefit for the Lampang Elephant hospital, CMU has a new art show coming up, Friends of the Chiang Mai Music Festival have happily restarted some wonderful classical music performances, and the sports minded can check out the World Cup. Its great to see the town jump back into life, albeit with a seriously lower number of people around. Also, many longer term expats head home this time of year, as it is now summertime and there is a hope that it will at least not snow. Although the British can always look forward to a nice, rainy and cool summer. Quite a relief, I would think, after the tremendous heat wave Chiang Mai has been experiencing this year. A few shows were cancelled during the curfew (a friend of mine was looking forward to seeing some Academy Fantasia performer out on Huay Kaew Road, but alas, the curfew put paid to that). A few networking events were cancelled as well as a few parties put on hold. Yours truly birthday was one of those that got postponed, if not cancelled. I can’t say that I will consider rescheduling, it all seems a bit late for that now, but I do hope that other organizers aren’t so discouraged. Chiang Mai has so much to offer, musically and artistically that residents and tourists shouldn’t find themselves bored in anyway. Turn the page to page 8 and check out the listings, you are sure to find something you like somewhere. 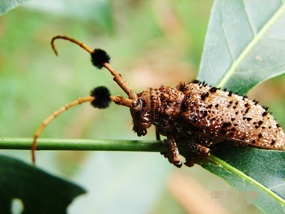 This time of the year, the early rainy season, you may see some handsome beetles with long horns or antennae. One beetle is black and yellow, with tufts of black hair on the antennae. This is Aristobia approximator (Cerambycidae). Another one is brownish with white spots and covered with spines. It has black tufts of hair on the antennae too. This is Aristobia horridula. These two beetles may look handsome, and visitors to Dokmai garden often kneel to take good pictures, but beware! These beetles like to lay their eggs in young trees, about 2-6 meters tall (age 2-4 years). The hungry larvae eat the wood inside the tree, and may either kill a limb, or the whole tree. To prevent attacks of these larvae, you can buy any permethrin insecticide. You need to look for this name on the label of the insecticide yourself, do not ask the retailer because he usually knows nothing. “Jaleed 10” is one Thai brand. Permethrin is a pyrethroid, i.e. an artificial form of the natural insecticide pyrethrum which originally comes from special Tanacetum plants (previosuly known as Chrysanthemum). You mix the insecticide with water according to the directions, and then you spray it on the bark of a precious young tree. The insecticide will not kill the beetle, but it will make the female spit and fly somewhere else, maybe high up in an already established tree. You may have to apply permethrin every 6-8 weeks throughout the rainy season, because luckily this compund degrades within a reasonable time. Inspect your trees frequently now in the early rainy season, look for heaps of wood dust and holes in the bark. 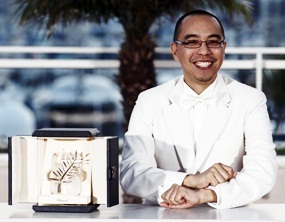 Amongst all the recent gloom and doom of recent weeks, there was at least one positive piece of good news when the Cannes Film Festival awarded its top prize to Thai director Apichatpong Weerasthakul (hereafter referred to as ‘Joe’) for his latest feature Uncle Boonmee Who Can Recall His Past Lives (Loong Boonmee Raleuk Chat). This is the cinema world’s most prestigious award and means that the film will sell and be seen internationally, including at other non competitive festivals. It also provokes interest in the earlier films made by the recipient. The film has already been snapped up for distribution in France by Pyramide and by New Wave distributors in the U.K. Sales are firm for Spain, Italy and other European countries, as well as Canada and parts of Asia. So far no news of its fate in Thailand. It is not unusual for an artist to be neglected in his own country, in comparison with his or her reputation abroad. France – the country most supportive of cinema, especially the role of the director – has long helped the reputation of many film makers and ‘Joe’ is no exception. His feature Blissfully Yours (Sud Sanaeka) was also shown at Cannes and took the Un Certain Regard prize. That was in 2002 and four years later his most widely seen film Tropical Malady (Sud Pralad) was awarded the Jury Prize in the main section. Now the latest nine person jury, headed by American director Tim Burton, has awarded him the main accolade. His most controversial work, Syndromes and a Century (Sang Sattawat) was released in 2006 and premiered at the Venice Film Festival. Three years later it was selected as ‘Best Film of the past Decade’ by a distinguished group of over 60 critics, festival directors, curators and film programmers at the Toronto Film Festival. And yet it is an appalling fact that this film has hardly been seen in Thailand and when shown in Bangkok it was heavily censored with four sequences omitted one of over five minutes duration. The director took the unusual step of inserting blank film in the sections to protest against the censors. (You may be interested to know that three of his features are available in Thailand with English sub titles- certainly at the Film and Music DVD shop at Suthep Road). “Joe’ turns 40 this coming July. So still young for an important director. He has completed six features, beginning with Mysterious Object at Noon (Dokfa nai Meumen) in 2000. He made his first experimental short, Bullet in 1993. He was born in Bangkok (his parents were doctors) and went to University in Khon Kaen, studying architecture. He completed his studies in Chicago, U.S.A. He has a total of 20 film credits, including short fiction, documentaries, segments in multi directed features and his own feature films. Last year many of his films were shown in a retrospective in New York. Sadly he has to rely on finance from abroad in order to work steadily. In Thailand, it seems, that he has not achieved the breakthrough in terms of recognition that he deserves. Possibly the new film will rectify that. I have not seen the new film, of course, since it has only been shown at Cannes and privately, nor indeed the short made last year called “A Letter to Uncle Boonmee”. And I must confess that I found the hypnotically beautiful Tropical Malady difficult to understand, as it breaks into two sections and – perhaps to a non Thai – their relationship is obscure. Other features, especially Blissfully Yours, are more direct. What we now need in Thailand and especially in Chiang Mai is for an enterprising organisation, perhaps CMU or Alliance Francaise or the Goethe Institute to mount a retrospective of some of his films with ‘Joe’ in attendance. We also need the new censorship board to overturn the mistakes made by its predecessors under the then military regime and allow the release of the complete Syndromes and a Century. That would be further good news for Thailand. And at present Thailand can do with all the respect and regard it can muster from the outside world. Mae Chaem is one of those little places that, while not necessarily off the beaten path, somehow still manages to get bypassed. Thailand is filled with these little gems, usually on the way to somewhere more famous, like Pai, they get missed and for the missing we are much the poorer. When I was a child, my father delighted in going for drives, nowhere in particular, just going where the whim and the roads took us. While you do have to be careful you don’t wind up in Myanmar if you take too many twists and turns, you can also find some really lovely places in and around Chiang Mai if you do so. I have friends with great big motorcycles who love the open road. And while I see the appeal, I don’t quite see myself on one of those. But back to Mae Chaem, it is about two and a half hours outside Chiang Mai and is the main junction for those wishing to go further on to Pai, Mae Sariang and Doi Inthanon. I would say it’s a bit far for someone on a scooter but as one intrepid traveler wrote of his travels around North Eastern Thailand on a Honda Dream, I can only say, that may not be applicable for the brave of heart and sturdy of bodies. 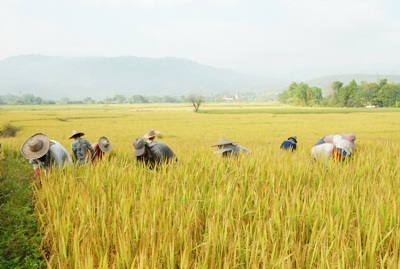 Mae Chaem is filled with scenic views of rice farming, old temples and is home of the unique Pha Sin Teen Jok, a decorative woven style found on the hems of women’s sarongs. The area is a unique mix of cultures, with the Khon Muang local people and hill tribes of Lua, Pakakayor, Hmong and Lisu all living there. This leads to unique and beautiful handicrafts and more. Mae Chaem is also well known for its temples, many of which come clustered together, but it’s the unique temple on a pond that makes Mae Chaem stand out. Wat Phuttha Eoen (Buddha-En on the sign) was built in 1868 and features a nam, or ubosot, that sits on wooden posts in a lotus pond. The teak serpents (nak) along the sides are very beautiful and the setting is serene. You feel drained for a long time. You can’t really enjoy everyday life, or you retreat from others? If you are in such a state for more than two weeks, you probably belong to the millions of people suffering from depression. Unfortunately due to its usually slow development, and out of feelings of shame, it often takes long and valuable time before affected persons look for assistance. So quite frequently, secondary complications such as chronic pain, sleep disorders, sexual disorders, psychosomatic diseases or alcohol abuse start to cause additional burden, and the body becomes more sensitive to pain and infections. Depression is usually caused by a combination of genetic predisposition, triggering environmental conditions and previous personal impacts. However, the feelings of dejection and hopelessness can be treated: as a psychotherapist, I am pleased whenever people tell me how surprised they are about how much better they feel after just a few counseling sessions. What’s striking about depression is that prospects for an improvement are hardly noticeable for sufferers anymore - even if these prospects would wait ‘round the corner’. Often enough it takes a good friend who encourages to seek help. Richard L. Fellner is heading Counseling Center Pattaya in Soi Kopai and offers consultations in English and German languages after making appointments at 0854 370 470. 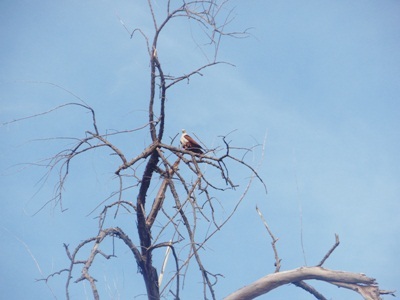 Brahminy Kite looking for dinner. Was it prudent planning, or just the lure of the sea, which said that there would be more rewarding bird-life sightings on Thailand’s west coast in April, than being boiled alive in steaming Chiang Mai? A wiser choice we could not have made, the more temperate Andaman proved an ideal sojourn. John Masefield describes the same salty passion in his poem, ‘Sea Fever’, whose famed second verse begins, “I must go down to the seas again, for the call of the running tide”. From　our first day Brahminy Kites and White Bellied Sea Eagles displayed their thermal circling, swooping and fish catching talents. Their talons ever-ready to pluck unsuspecting, silver scaled delicacies from the choppy sea. At the other end of the size scale, the graceful, colourful, Chestnut Headed Bee-Eaters and Vernal Hanging Parrots were also a joy to watch. Quite often our pursuit is likened to the phrase, “being in the right place at the right time”. This saying was most apt one day as we walked alongside an ebbing tide. Looking down, large flat shells, ‘sand-dollars’ were lying on the sand, so unusual in shape and etching, as if produced from a master modeller’s mould. We studied this sea-urchin family species, and then momentarily glanced around, blinked twice, checking that what we were seeing was not an illusion. There they were, at 100 m distance, a group of seven Eurasian Curlews, some standing alert amid the running tide. There were rich pickings to be had; their long curved bills were ultra busy probing for crustaceans. These 57cm long migratory birds are normally seen in Europe and around the English countryside, so to see them in Ranong was a genuine treat. Dodging the tide they fished around for more than ten minutes, then took-off seaward, not to be seen again. On that same beach late one hot afternoon we were returning from a Black Kite search at a local mangrove when thunder, lightning and black clouds began to fill the air. As if watching a theatrical act unfold, a dark elongated shape like an elephant’s trunk extended from the cloud base and down to the sea. The sea in that area began to boil, and water was clearly seen being sucked back up within the gyrating trunk and into the main cloud. The ten minute awe-inspiring phenomenon was a waterspout. Lunching one day at an outdoor shaded restaurant, we sat with binoculars at the ready. Dead leaves carpeted adjacent ground, and as if by request, three unusual birds appeared within an hour. The 18cm long Pied Fantail is aptly named, it’s tail display likened to　the movements of a flamenco dancer’s fan. ( it’s strange, but the following day we bought a bird bath, and sited it　near to our residence, this species bathed there every day, utterly amazing). A slightly bigger Fantail is the White Throated, a restless, ‘ants in your pants’ species, easily distinguished from the previous bird by its white throat patch. The 18cm long Forest Wagtail was slim and elegant. It’s brown, black and white feather colours disguised it perfectly as it ground-walked amongst the dead leaf foliage. We lunched at the same place several more times, only seeing the Pied Fantail. How lucky we were that day. From our beach-side residence the small island of Koh Phayam, famed for its cashew nut farming and rubber tree production,　could be seen. Local people said that Hornbills and other unusual birds could be seen there. We duly summoned a fisherman to take us, and in due course waded out to his boat. Approaching the island we saw brown-backed Bridled Terns,　then passed　by sea encompassed Sao Tong, a tower-like rock formation, before dropping anchor in rock strewn becalmed waters. Wading waist deep ashore the 3km long crescent shaped beach was a typical brochure scene. The roar of the surf was heard around the clock, and wind-blown, spume-topped waves were a surfer’s paradise. Nature’s awe. Only Common Sandpipers were seen on the ‘point’ rocks, but inland proved more rewarding. Just after dawn Oriental Pied Hornbills were atop Casuarinas trees, their raucous chatter welcomed the new day. Further inland dead trees were dotted about, then, flashes of gold sped before our eyes and clung on to the demised forms. They were four, 30cm long Golden Backed Woodpeckers, who spiralled ever upwards in their breakfast search for invertebrates. Two days later we wandered in the same area when a maroon, dart-like bird　flashed by, to perch on a low branch. The striking red bill of the Rufous Backed Kingfisher could have come from Picasso’s palette. This small, 14cm long beauty, was for us, ‘the icing on the cake’. Within reason, latitude 14-60N, 103-60E, pinpoint the Surin Isles, where the almost globally extinct Nicobar Pigeon and Beach Thick-knee had been reputably seen. By choice we took the slow boat from Khura Buri and waded ashore in warm turquoise waters. The ‘nature trail’ was steep, jungle based, and not for the unfit or foolhardy. We saw no-one after two hours toil, and then came to a clearing. Two large white rumped birds ahead, flew from branch to branch, as if saying, “welcome, you’ve found us”. Seeing and photographing the unmistakable, 40cm long Nicobar Pigeon, whose unique long neck feathers gave away its identity, was beyond our expectations, and certainly worth the sweat-drenched trek. Alas, our search for the 51cm long Beach Thick-knee proved fruitless. Perhaps next time? Enjoy the gifts of nature.